A worker at Swiss Meat and Sausage in Swiss, Missouri, slices bacon for a special order. The company is hoping to grow their internet orders, but access to high-speed internet is making that difficult. "The infrastructure situation was a mess,” network administrator Rob Chinn said, adding that water and electricity were easy, but it took a lot of work to get an acceptable level of internet access. 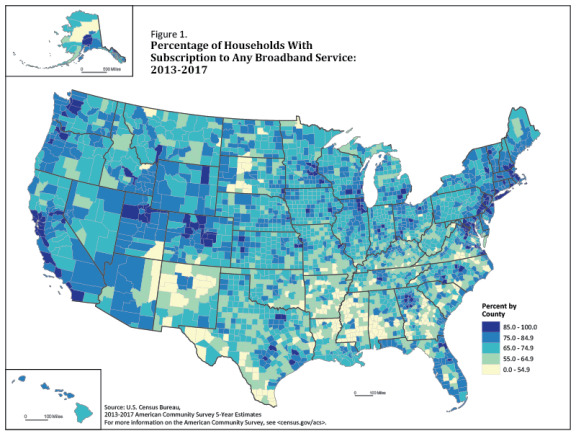 A map from the U.S. Census Bureau shows counties in rural areas have lower rates of broadband access.